My thanks to the publishers and authors for the following review copies received. For more details and full descriptions of the books, be sure to click the links to their Goodreads pages! Thank you to Orbit Books for these beauties: King of Assassins by RJ Barker is the third and final novel in The Wounded Kingdom trilogy. 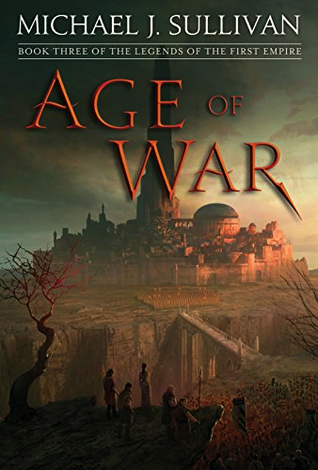 I’ve been enjoying the hell out of these books so far, and this could be shaping up to be one of my favorite fantasy series ever. Shadowblack by Sebastien de Castell is the second novel in the author’s YA Spellslinger series (the first book of which I recently reviewed and loved) so I’m looking forward to starting this one real soon. 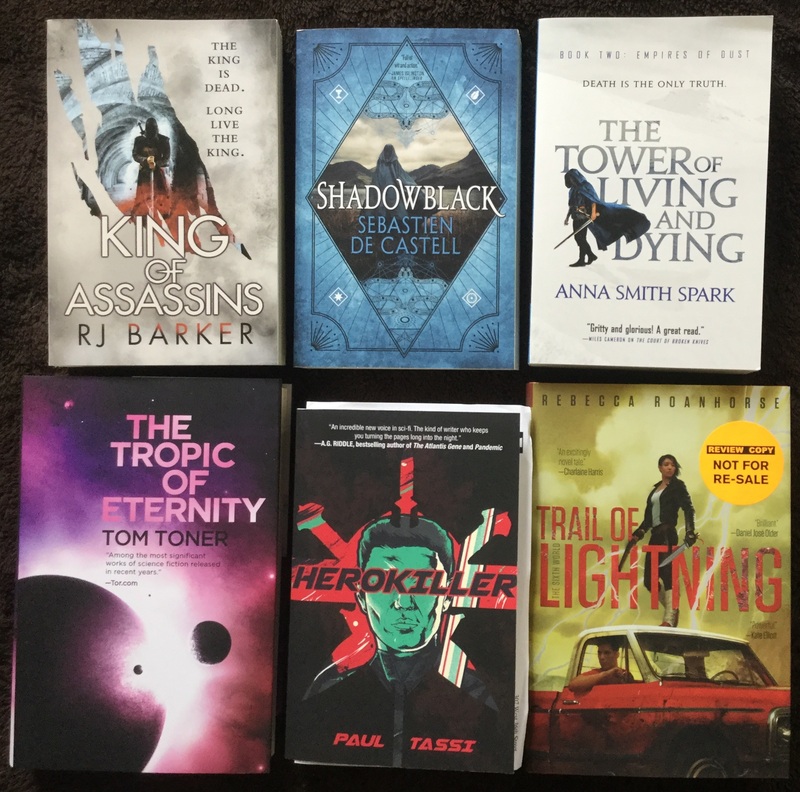 And August must be the month of awesome sequels, because we’re rounding out the Orbit haul with The Tower of Living and Dying by Anna Smith Spark, the follow-up to her amazing grimdark debut The Court of Broken Knives. From the kind folks at Night Shade Books/Talos, I also received the following: The Tropic of Eternity by Tom Toner is the third book in The Amaranthine Spectrum which unfortunately I’m not caught up with yet, but I’ve heard some fantastic things about the series. Herokiller by Paul Tassi also sounds incredible, described as “Ready Player One meets Gladiator“. This book is a new one to me, but who can ignore a comparison like that? With thanks to Saga Press and the team at Wunderkind PR, I also received a finished copy of Trail of Lightning by Rebecca Roanhorse. Its arrival made me very happy because I loved the book, and this hardcover edition is just jaw-droppingly beautiful. 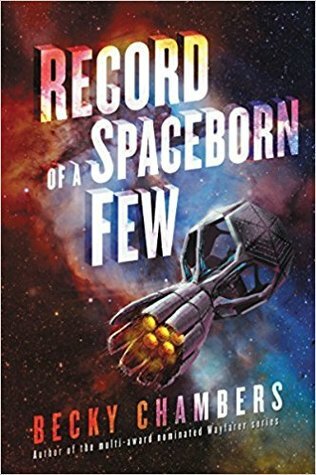 Next up, I was excited to received a finished copy of Record of a Spaceborn Few by Becky Chambers, which I’ve already devoured because I just love this series so much. 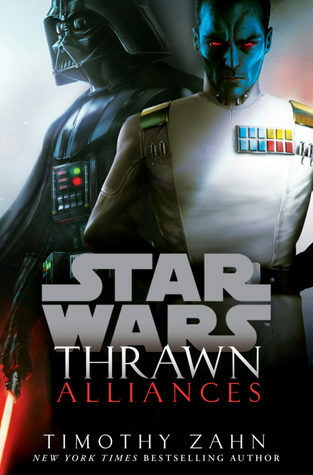 And if you caught my review this week, you might have also seen that this was my favorite Wayfarers book yet. Huge thanks to Harper Voyager. 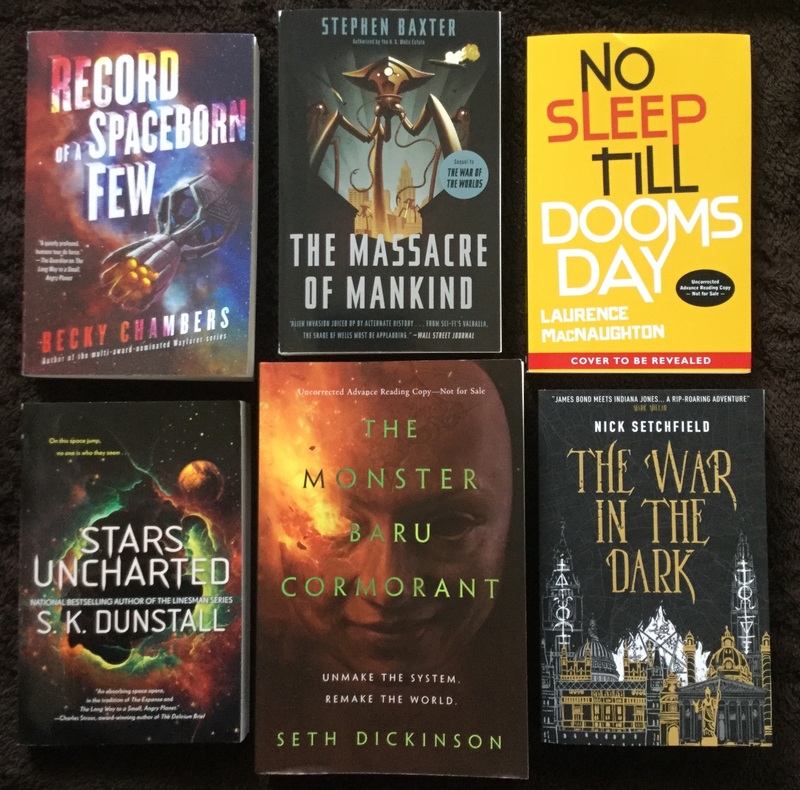 With thanks to Crown Publishing, I also received The Massacre of Mankind by Stephen Baxter, which came out last year as the “official sequel” to H.G. Wells’ The War of the Worlds. For those curious, you can read my review of it here. 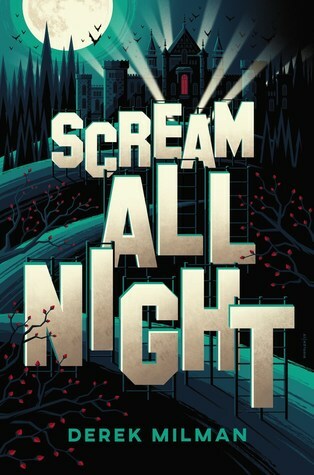 This is the paperback release, and I love how they’ve reworked the cover for this edition. And with huge thanks to Pyr Books, a couple weeks ago I received this eye-popping ARC of No Sleep Till Doomsday by Laurence MacNaughton, book three in the Dru Jasper series which I’ve been really enjoying. Can’t wait to start this. Last month I also received a finished copy of Stars Uncharted by S.K. Dunstall, with thanks to Ace Books. I’ve always kicked myself for missing out on the Linesman trilogy from this writing duo of sisters, so no way I’m sitting out this time. This next arrival I’m also super psyched about: The Monster Baru Cormorant by Seth Dickinson is the hugely anticipated follow-up to The Traitor Baru Cormorant. I adored the first book, and I’m counting the days until I can dive back into this world. 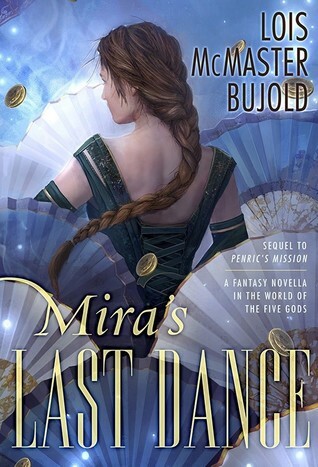 My thanks to Tor Books for the ARC. Last but not least, I’d like to thank Titan Books for sending me a finished copy of The War in the Dark by Nick Setchfield. 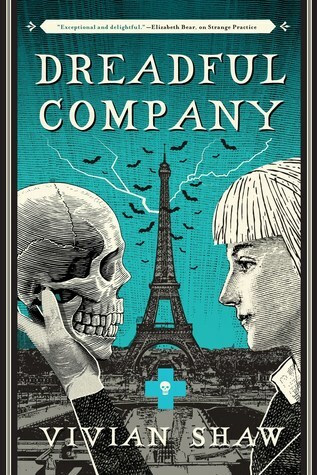 Last month The BiblioSanctum participated in a tour for this novel, hosting a fascinating guest post by the author. I was already interested in checking out this book, but now I’m even more excited to read it. Moving on to the digital pile, this week I picked up a couple audiobooks. With thanks to Penguin Random House Audio for advance listening copies of An Unwanted Guest by Shari Lapena, which sounds a classic trapped-with-a-murderer-in-a-snowbound-inn kind of thriller, and Seafire by Natalie C. Parker, a YA adventure fantasy about a crew of female pirates. 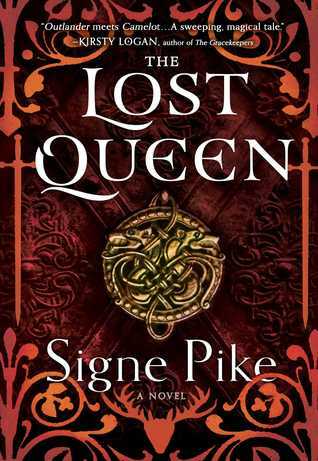 And thanks to an email pitch from the kind folks at Touchstone, I also learned about The Lost Queen by Signe Pike, a historical epic described as “the untold story of Languoreth, a forgotten queen of sixth-century Scotland and twin sister of the man who inspired the legend of Merlin.” Needless to say, I happily accepted the offer of an eARC. 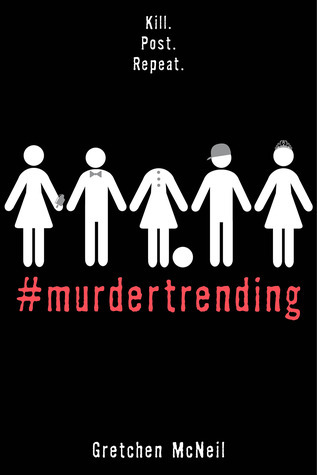 I agree, and it sounds like a premise to a classic horror movie too, I think it’s gonna be great! 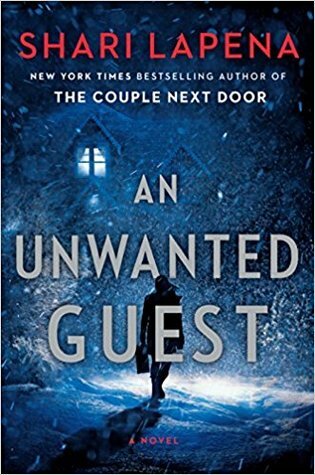 Yeah, trapped with a murderer in a snowbound inn – there’s a nostalgic quality to the premise of Unwanted Guest that really appeals to me! 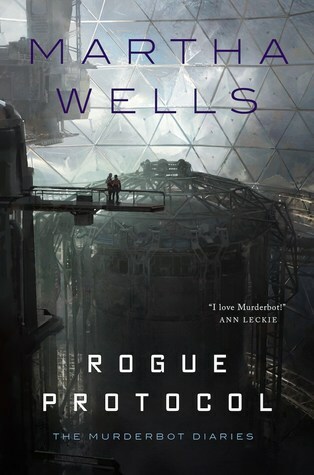 And I think you’ll love Rogue Protocol, hope you get to check it out soon! Yep, I’ve been having a better time with good books lately – a much needed reprieve after my recent string of 3 star/mediocre books! I hope you’ll enjoy them! I’m eager to get started on An Unwanted Guest. It’s pretty funny, I’d never heard of Herokiller until recently, and now I’m seeing it in a lot of places. I even just today read a gaming article by the author, who advertised the book in his bio! The Lost Queen sounds excellent. I will keep my eyes out for your reviews of that one. Yeah, I hadn’t heard of it before, but as soon as that email pitch came about it, I was intrigued. The War in the Dark sounds really awesome, as does the Lost Queen. Yeah really looking forward to reading those! Yeah, I’m curious about the second Baru Cormorant. 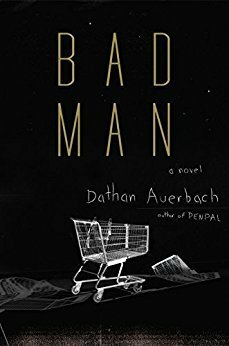 When I read the first book, I wasn’t sure I was going to like it – but it surprised me in the best way! I saw Herokiller when I was browsing on Hoopla yesterday. I’ve been seeing it around so I put it on my wishlist there – maybe I’ll grab it after seeing some reviews. 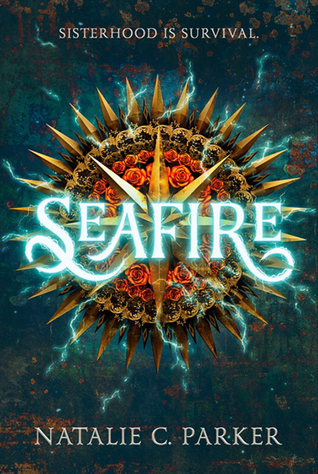 Seafire has such a pretty cover and I have an arc of it but I’m kind of “sea’d” out this summer. Seems to be the popular subject this year. I’ve read The Mermaid and loved it but also read To Kill a Kingdom and found it meh. I’m curious about The Unwanted Guest. I read the author’s first bool – The Couple Next Door, and even though I didn’t really enjoy it, I am curious about the author’s newer works. King of Assassins was SO GOOD. Easily my favorite of the trilogy, I think. And I was surprised by how good Spellslinger was, so I’m itching to get into Shadowblack. 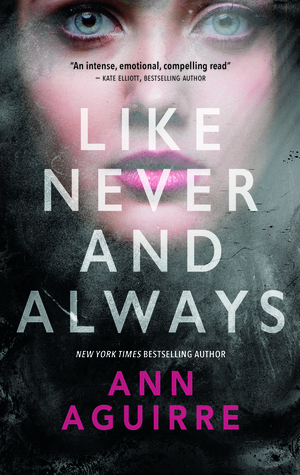 I’m very interested in checking out Anna Smith Spark, so I’m curious about your review! Ooh, very nice haul! It’s rather exciting for me to see Sebastien de Castell in the pile as I’m planning on exploring his books next (huge recommendations from everybody I know). And The Monster Baru Cormorant looks awesome! That cover is pretty creepy, but in a really good way. 😉 And I’m glad you received a few books that you’ve already read and loved!